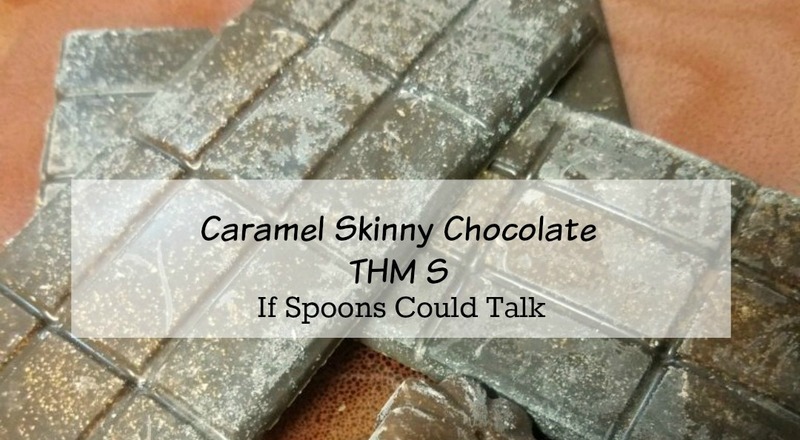 If you have been on Trim Healthy Mama for long or checked out some of my tip pages you have heard of Skinny Chocolate. It is something that the sisters came up with so that even in this lifestyle we don’t have to be without chocolate. Because really what is life without chocolate? I used to not really care one way or the other about chocolate but now I have times where it is the only thing to make me feel better. Especially during a trying day of teaching. This recipe is what I have been using since my first couple months on plan and I love it. This recipe is what I have been using since my first couple months on plan and I love it. The caramel extract helps take the edge off the bitterness of the cocoa powder. Sometimes if I am not concerned about having a deep S snack I will add some heavy cream to make it more of a milk chocolate. I have used this to dip strawberries to make on plan chocolate covered strawberries. I also will take a couple squares of my bars, melt and drizzle over on plan ice cream. 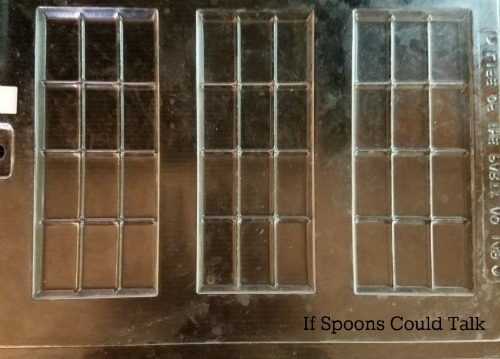 I make bars using a candy mold that I got Hobby Lobby for $1.99, I also have a silicone flower mold that I use for thicker pieces of candy. 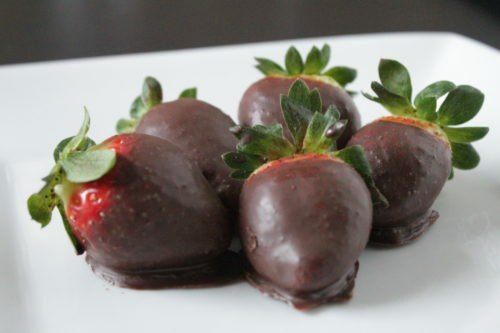 Store in the freezer and you will always have some on hand to grab in the “I Need Chocolate” moments. This chocolate doesn’t only not harm your weight goals, it actually helps you achieve them. The coconut oil helps you burn fat. Remember you can eat up to 1/3 of this recipe in one day. 3 tsp pyure can use up to 4 according to taste. In a microwaveable bowl place the coconut oil. Microwave for 30-45 seconds until melted. Optional- Grind pyure in coffee grinder if you want the granuals to be more powdery. Add Cocoa powder and Pyure to the coconut oil. Stir to combine. Add in the caramel extract. Make sure it is well combined. Taste to see if sweetness is to your liking. (It should taste like a dark chocolate not milk chocoalte so it will be a bit bitter.) Add up to a teaspoon more pyure if needed. Pour into molds and freeze. They should sit up in 30 minutes or so depending on thickness of mold. Remove from mold and place into a sealable baggie or container. Add 3 Tablespoons of heavy cream if desired. Welcome to my corner of the world. Here you will find recipes, kitchen tips, cooking techniques, and restaurant reviews. I am a complete foodie and love sharing that with others. 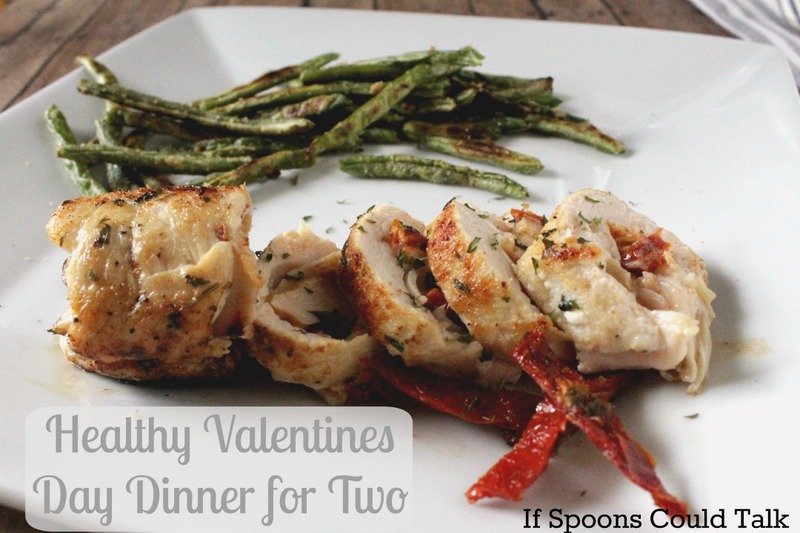 Whip up a quick snack and stay a while.